The Ashley "Cottage Retreat" twin poster bed takes early American country design to create a fun and inviting cottage retreat perfect for any child's bedroom. The replicated light cream paint with subtle replicated brushing flows over the graphic leaf design patterns and bead board panel accents creating a relaxing atmosphere that is sure to make any child feel at home. 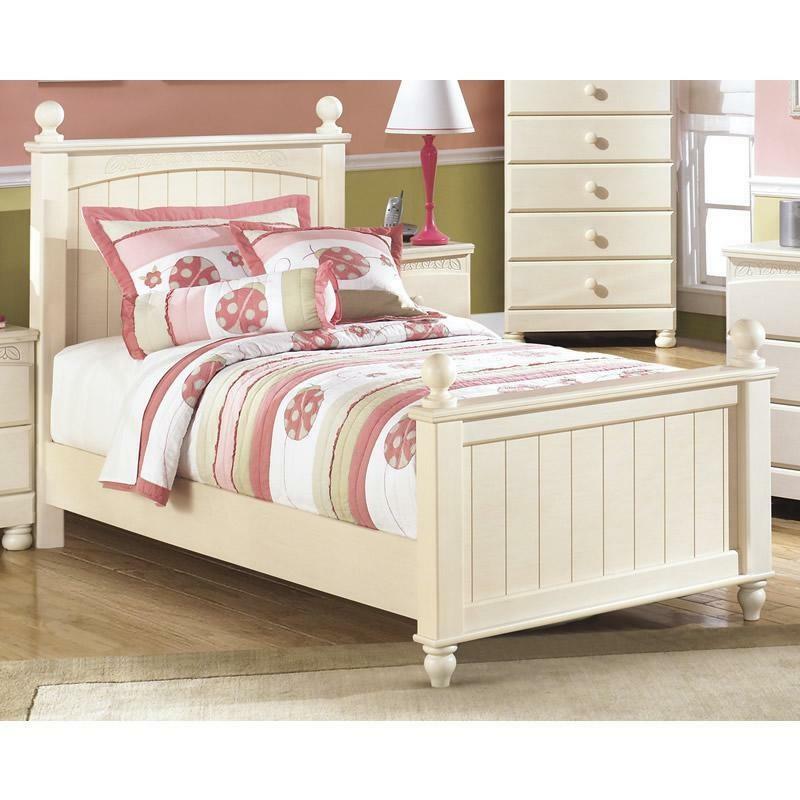 Create the special kid's bedroom with the refreshing design of the Ashley "Cottage Retreat" twin poster bed.